Yes, American football is big this time of year, but we recognize that there may be a few of you out there who are not completely infatuated with football. To those of you, we offer up other sporting events held around the globe this month – fencing, fighting, and football (the other one). Fencing, anyone? Two fencing World Cup tournament s will be held this month – in Tokyo and St. Maur, France. Over 170 of the worlds’ top men’s foil fencers will compete for the Prince Takamado World Cup in Tokyo, Japan, including the top ranked fencer, American Race Imoden. The fencers, representing over 33 countries, are competing to qualify for the Olympic Games Rio in 2016. The 2015 Coupe du Monde World Cup tournament, held in Saint-Maur France, will host over 175 of the world’s top women’s foil fencers. Representing 38 countries, the event will draw both World and Olympic champions, including Italy’s Elisa DiFrancisca, the top-ranked World fencer. Maybe fencing isn’t your thing. How about ultimate fighting instead? A highly anticipated match-up is happening in November – the match-up of Ronda Rousey and Holly Holm on November 14 in Melbourne, Australia. Rousey will defend her Bantamweight title for the seventh time; she made headlines recently when she took down her last opponent, Bethe Correia in only 34 seconds. If you like the version of football that doesn’t require helmets and pads, then a long weekend in London may be in order. It is the place to be for fall games, where you can catch a match featuring one of the teams who make their home in London (Chelsea FC and Arsenal FC to name two). If you can’t get enough football, consider a side trip to Manchester and stay at the Hotel Football, where you can eat, drink, and sleep the stuff. Whether you are watching sports on your couch or in a stadium, you can always stay connected with our complement of WiFi products, including our high speed Pocket WiFi Hotspot and our Wireless Traveler WiFi Calling App. 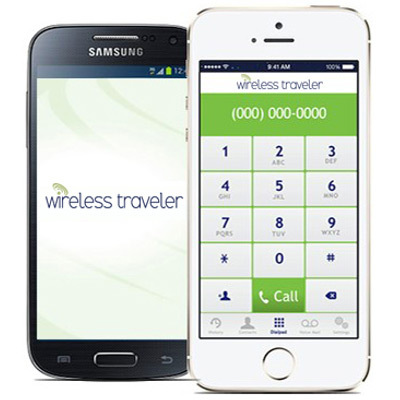 Use it to call home for only 2 cents per minute from anywhere in the world!